Nutanix: Go Big or Go Home! Is it arrogant for a company the size of Nutanix to take on the giants of our industry by saying FU-SAN? It is most definitely arrogant, but I most certainly like that because that arrogance hides a solid technical solution and an innovative perspective, a new way of thinking that essentially says that “monolithic” infrastructures are great but they are not the only game in town. If we look at all the large cloud deployments, the likes of Google, Facebook and others we will quickly notice that they use commodity hardware in a grid computing type approach. 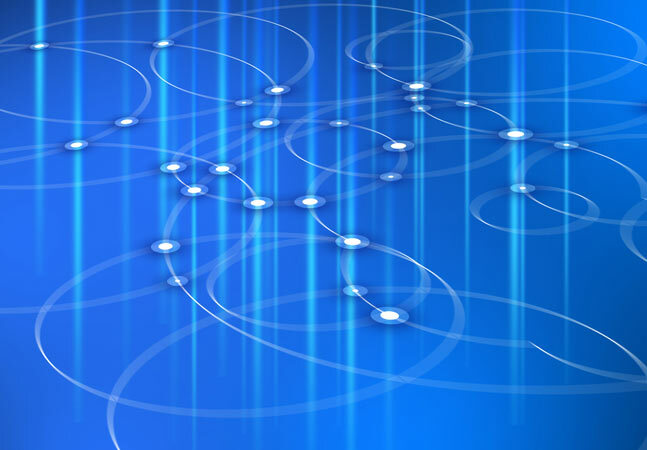 That is not to say that they don't have shared storage or SAN, but they have much more of these nodes that together form their compute fabric, except these nodes would need a layer, a file system that connects them together to yield the desired results. Nutanix brings that type of thought process, that type of technology to the enterprise by offering a converged compute and storage cluster that is glued together by the Nutanix Distributed File System and it is this distributed file system that allows the Nutanix cluster to offer enterprise features that traditionally required shared storage like HA, DRS or vMotion (live migration, XenMotion). Nutanix is a 2U block or container which holds four nodes (hosts, servers). Each node can take up to 192GB RAM, dual socket Intel CPUs and three tiers of storage, 320GB Fusion-io flash, 300GB SATA SSD and 5TB of SATA spinning disk. While Nutanix can be used for different types of use cases and workloads, I am particularly interested in it for desktop virtualization. One of the main barriers for desktop virtualization adoption has been cost and then, to an equal extent, complexity. Nutanix breaks down both barriers, as the cost of entry is very acceptable and the complexity is simplified. A while back I had written an article on the cost of desktop virtualization versus physical desktops and a reader asked me how that would work for smaller organizations. Honestly at the time it was not going to be as effective as the value proposition I showed at scale. With Nutanix, however, we now have a story for the small organization as well as the large enterprise. Now I have maintained for a while now that local disk is not the way to go for desktop virtualization and I have religiously argued against it because all of the suggested solutions that promoted local disk were suggesting that we don't need enterprise features. My take on this is that is not acceptable. I don't want to go backwards. I don't want to lose features and I am not willing to compromise. I also had a lot of reservations on the configurations that were being suggested and we will get to that in a minute. So why do I like Nutanix so much? There is nothing special with the hardware configuration: SuperMicro computers, Intel inside, Fusio-io cards, some SSD drives and some SATA drives... Big deal, right? I can put that together easily. Well, sure you can but that is where my reservations come into play. First, in that scenario we lose all enterprise features. Second, there are technical challenges with SSDs from write coalescing, to write endurance, etc., challenges you cannot overcome by putting hardware together. You need a software layer that addresses all these issues, and that's where Nutanix Distributed File System comes into play. It enables the enterprise features, but also addresses some of the challenges I mentioned. So, do I accept local disk in this configuration? Absolutely. For many customers, another challenge is they want to start small with VDI and grow into it. Monolithic infrastructures get cheaper at scale, which is why customers had to buy the infrastructure ahead of time to fit within certain discount ranges. With Nutanix you have to buy the first fully populated block with four nodes, but then after that you can buy a block with a single node in it and scale as you need to. Pretty elegant, if you ask me. Couple Nutanix with Citrix VDI-in-a-box or VMware View Enterprise for small or medium size organizations and that is a killer solution. Couple it with XenDesktop or View Premier and -- voila! -- scale-out enterprise solution. The cost of desktop virtualization drops again. Next argument, please! Now I can't write this glowing column in support of Nutanix without finding something I don't like. Today, the only hypervisor supported is VMware ESXi, and while I realize the market share is in VMware's favor, ignoring Microsoft Hyper-V is a huge mistake. Since one of the use cases for this solution is desktop virtualization, ignoring XenServer is also not a great idea given Citrix's position in the desktop virtualization market. Having said that, I do recognize that many enterprises deploy Citrix technologies on vSphere, but nonetheless, vSphere, Hyper-V, XenServer are an absolute must and I know that Nutanix is working on extending support to these hypervisors. Another feature that would be welcome is Nutanix array- or block-based replication -- maybe an OEM partnership with Veeam? I am extremely interested in your opinion of Nutanix. I have several customers deploying and I welcome your feedback.